On an average, you lose fifty to a hundred hairs a day. This is part of the body’s normal hair replenishing cycle. 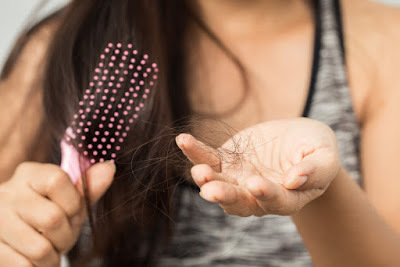 However, if the rate of loss of hair is too high and you see your hairline receding or thinning day by day, then it's something that to be concerned about. Knowing what’s the exact condition that you’re suffering from can help when you’re trying to treat it. Causes of hair fall are many. Here are some of the common reasons. This is a reversible condition that occurs after certain physical changes like pregnancy or a major surgery. 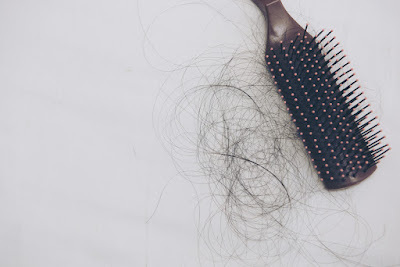 Even drastic weight loss or high stress can trigger hair loss. It could also be a side effect of medications, especially antidepressants, beta-blockers, or nonsteroidal anti-inflammatory drugs. This lasts for 6 weeks to 3 months after the stressful event and results in hair loss. Hair health is closely related to genetics. Hair loss that occurs due to heredity is called Androgenetic alopecia. This is the most common cause of hair loss. It mostly depends on your ancestry. Thyroid issues are a common disease among women, with millions suffering from it. In the case of hypothyroidism, your body produces very little thyroidic hormones and your body’s overall metabolism is disturbed. This leads to a number of side effects including hair loss. This is a special condition where the body’s immune system doesn’t function properly. It attacks healthy tissue in your body. Nearly 1.5 million people suffer from Lupus during their childbearing years. Hair loss due to Lupus could be mild or severe depending on the severity of the disease. Another common cause of hair loss is Anemia. In this condition, the blood lacks adequate red blood cells. The cells of your body don’t get enough oxygen and they become malnourished. Iron deficiency or Anemia has other side effects apart from hair loss. This includes weakness, headaches, fatigue, and shortness of breath. This is a female-specific condition that occurs due to hormonal imbalance. The ovaries produce an excess of male hormones. 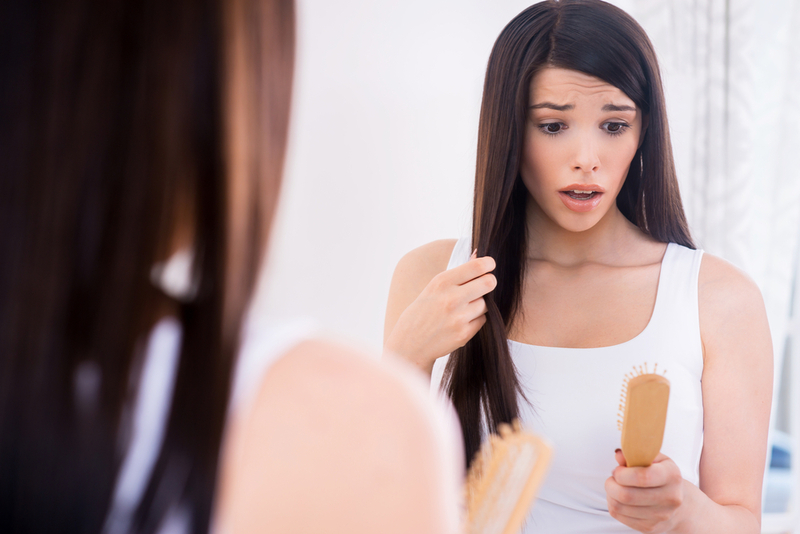 PCOS can lead to hair loss on the scalp and overgrowth in other parts of the body. For hair to grow, the scalp needs to be healthy. Skin conditions like seborrheic dermatitis, psoriasis, or fungal infections can cause inflammation on the scalp. This leads to hair loss. It’s an autoimmune disease that damages hair follicles. The exact cause of this disease is unknown. Excessive shampoo, styling, and dyeing bring your hair and scalp in contact with harsh chemicals and heat. These results in hair fall as well. Hair loss isn’t just about how bad you look, it’s proof of your inner health. Try the Kaya Targeted Root Regen System and get your hair treated. Know more about these safe and effective products from Kaya products reviews that are available online. As they say, prevention is better than cure. The same goes for hair as well. If you take care of your hair properly, it’s less likely that you’d suffer from hair fall. The best part is that preventing hair loss is a lot easier than treating it. Here are some basic steps that help you maintain healthy hair. ● Keep your hair clean. A dirty scalp is the beginning of many hair related issues. Invest in a good quality shampoo that suits your hair type. ● When you shampoo, focus on the scalp and hair roots. Make sure they’re massaged gently and cleaned well. Choose products based on their feedback like Kaya Products Review. ● When applying conditioner, focus only on the ends of your hair instead of roots. The ends of the hair need a lot more moisture than the roots. ● Trim your hair regularly. This keeps split ends and damage at the tips in check. ● Eat a healthy diet rich in Proteins, Vitamin B, Iron, Calcium, and Zinc. This keeps your hair and scalp nourished. ● If your scalp is prone to dandruff, don’t have oily food. That can agitate the condition. ● Wear a hairstyle that’s gentle on your hair. Don’t pull your hair too tight. This weakens hair from where it’s pulled and eventually starts falling. Even worse, prolonged hair pulling damages the hair roots in that area. Eventually, hair stops growing permanently. ● Try to keep styling activities to a minimal. Avoid bringing your hair in contact with chemicals in dyes and other styling treatments. Heat treatments also damage hair by robbing the natural moisture in them. ● Blowing drying your hair isn’t the best way to dry it. Let it air dry if you’re not in a hurry. If your busy lifestyle compels you to use a dryer, then use it such that it causes minimal damage. Keep the heat setting to the lowest and ensure that the blower is at least 6 inches away from your hair and scalp at all times. ● Use a wide tooth comb to avoid pulling. ● When using a towel to dry hair, don’t rub abrasively. Pat gently to keep your hair smooth. Hair loss does occur in spite of taking care of it. In these cases, there’s usually a serious underlying problem that you need to take care of. For this, you’d need more advanced measures like Kaya Root Regen System. It works by treating the underlying causes of hair fall and nourishes your hair as well. Read Kaya Skin Clinic reviews to get a better idea of how effective this product is.